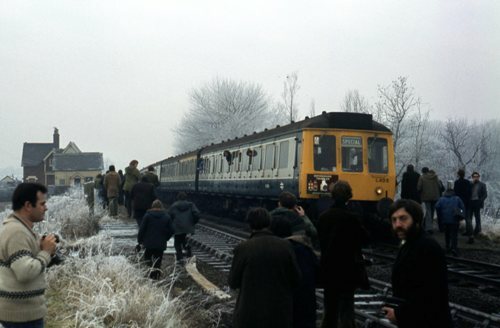 (1) The tour was booked to simply reverse at Fenny Stratford but because of a points failure an additional couple of reversals were required as shown above. The train stopped on the Denbigh Hall arm of the flyover near the north end of the carriage sidings. (2) To end of line. Summit of flyover 11/47 ? Radley 13/57 14.58 ~ ??.?? Radley GF 13.58a ~ 14.02d ? Radley GF 14.40a ~ 14.42d ? Didcot North Jn 14/50 ?